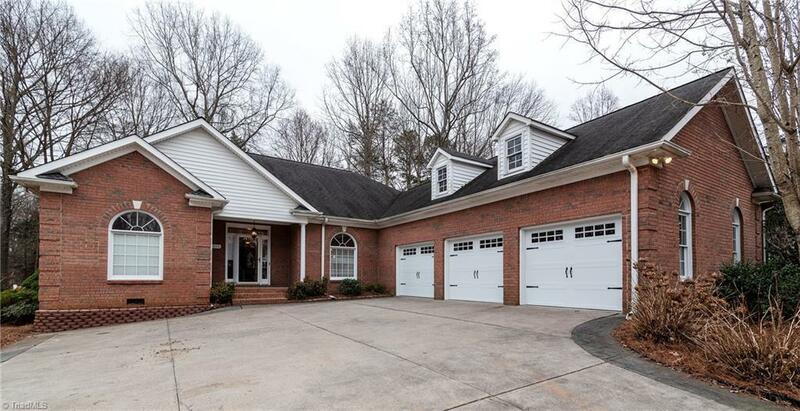 All brick home with one level living and a 3 car garage! Lovely wood floors brighten living areas and master bedroom. Master bath with dual vanity sinks, separate glass shower & garden tub. Sunroom addition not included in square foot. Huge walk up attic could be finished to bonus room. Large back yard with privacy fence. Ready to call home!